Lighting Stores Atlanta: Build Your Wishlist! 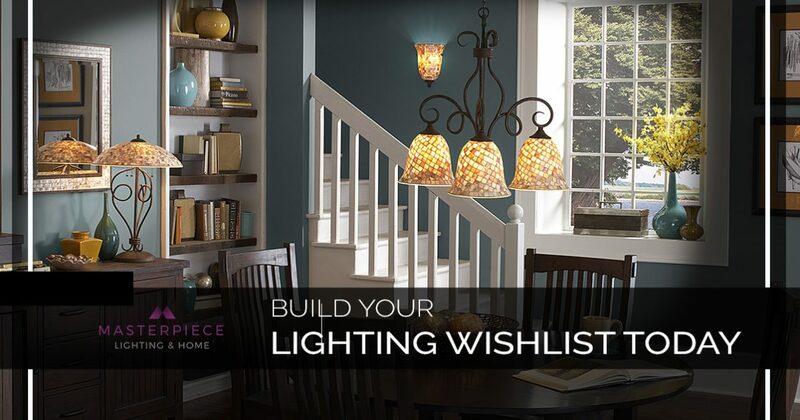 Build Your Lighting Wishlist Today! At Masterpiece Lighting in Atlanta and Roswell, we want to make it easy for our customers to find the perfect light fixtures for their home. 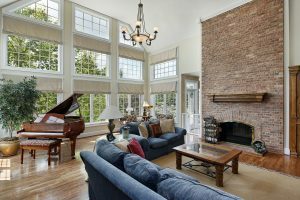 If you’re building or remodeling a house, then you likely have lots of lists for each room or each part of your home. When that’s the case, it can be hard to keep everything straight and know where you are in terms of crossing things off each list. When it comes to lighting, we make it easy to build a wishlist of your favorite fixtures so that you can view them online at your convenience, or come into one of our showrooms and see the lights for yourself. All you have to do is visit our Wishlist page, create a new account, and start shopping online! You can come back whenever you have time, and before you know it, you’ll have every room covered. An obvious place to start when building your wishlist is with the ceiling lights for each room. You might be looking at chandeliers for the entryway, or you may want an island light for the kitchen. Whatever the case may be, all you have to do is look through our online catalog, and when you see a fixture you like, click “Add to Wishlist” and it will be saved. You can go room by room, picking out ceiling lights, or you can save fixtures that you like and view them later, narrowing down which ones fit your particular style and budget. Your ceiling lights will provide the ambient illumination each room needs, but it’s the accent lights that truly make a house a home. Wall sconces, floor lamps, and other accent fixtures help layer your light, which can make a room more inviting and appealing. Overhead light is important, but it’s the lights next to the couch or beside the bed that make your home cozy and comfortable. We have a great selection of lamps, sconces, and more that can be added to your wishlist! At Masterpiece, we’re proud to have American Lighting Association (ALA) Certified Lighting Consultants, and once you’ve built your wishlist, you can sit down with one of them and go over your fixture choices. They can help you decide which lights will be best for each space, taking into account your architectural and design choices, as well as your wiring plans. Working with an ALA expert could be exactly what you need to create the perfect lighting design for your home. We know that life can be busy and that you might not have time to drive to a lighting store. With our online catalog and wishlist, you can get started today from the comfort of your own home! Spending a few minutes each day looking at fixtures and adding items to your list will save you from having to browse once you’re in our showroom speaking with one of our consultants. You can cut down on the time it takes to choose your new lighting, and get started on installing your new fixtures. If you have questions about how to create a Wishlist account, or you want to schedule a consultation with one of our lighting experts, then please contact us today. You can use the form below, or you can call us at (470) 296-3626 in Midtown or (678) 274-5668 in Roswell. A member of our staff will gladly answer your questions and help you reserve a consultation time that works for you. We look forward to making your lighting wishes come true! ©2018 Masterpiece Lighting | All rights reserved.